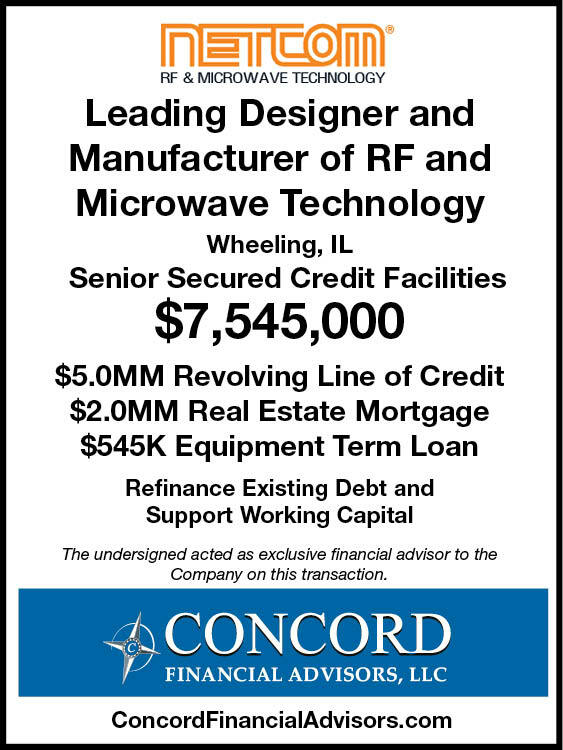 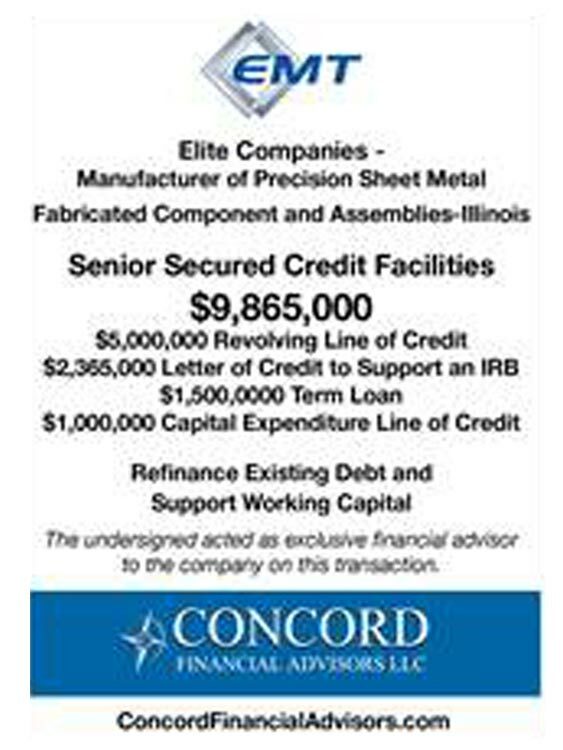 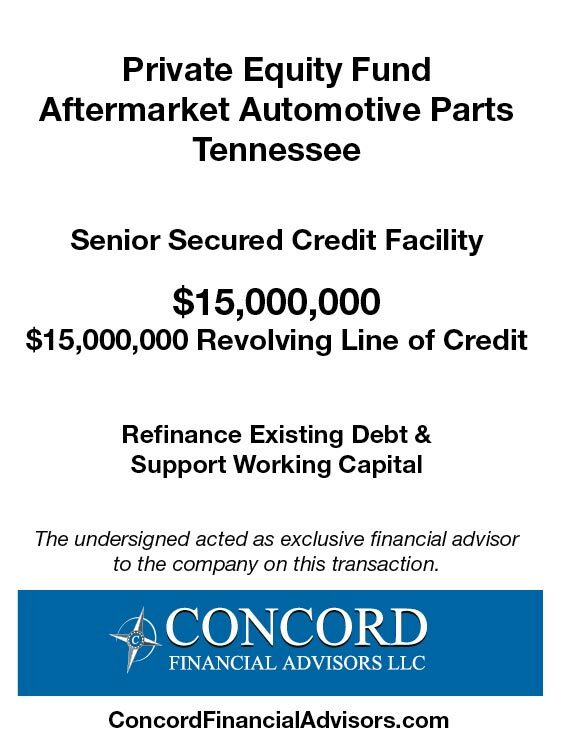 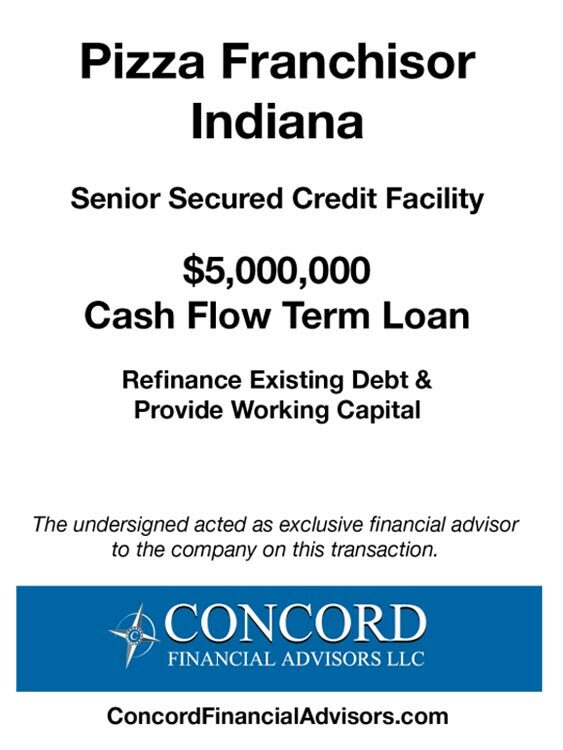 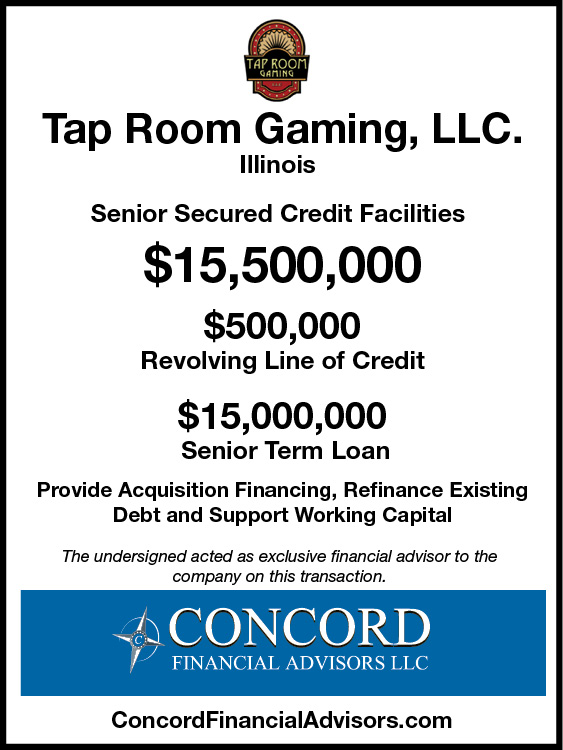 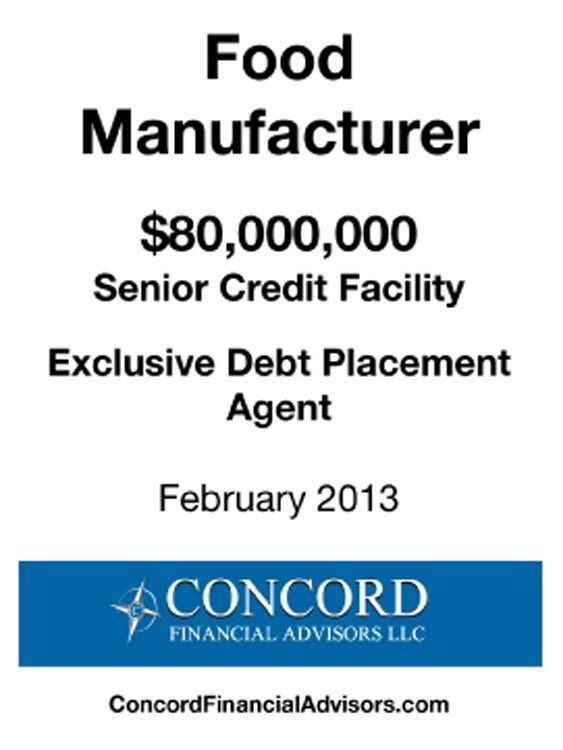 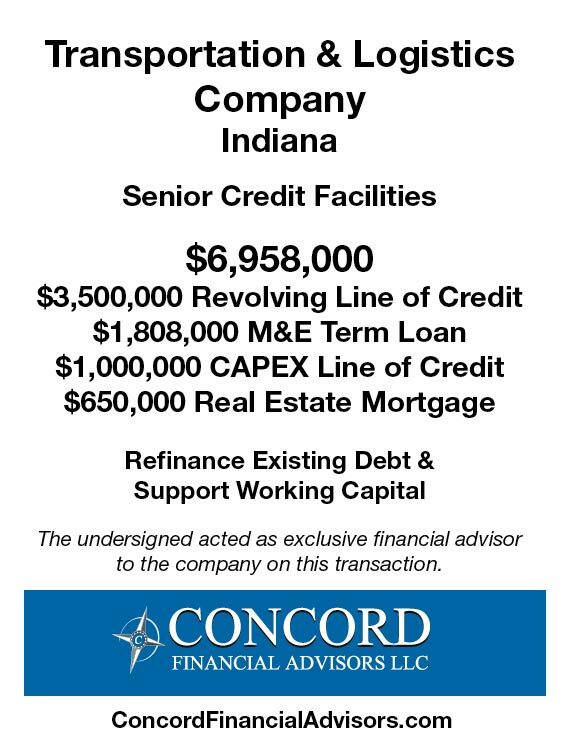 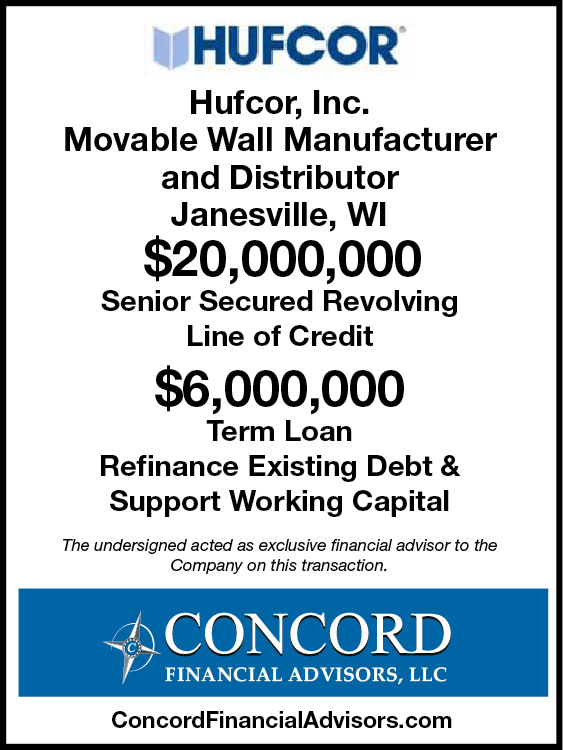 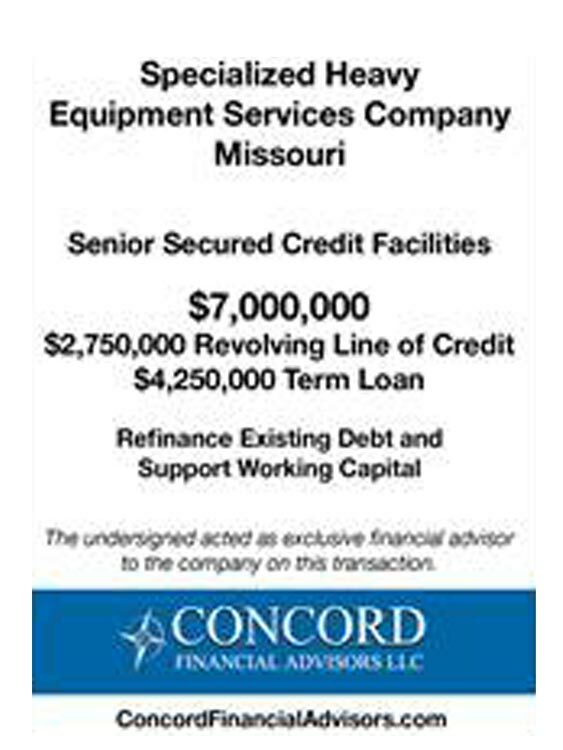 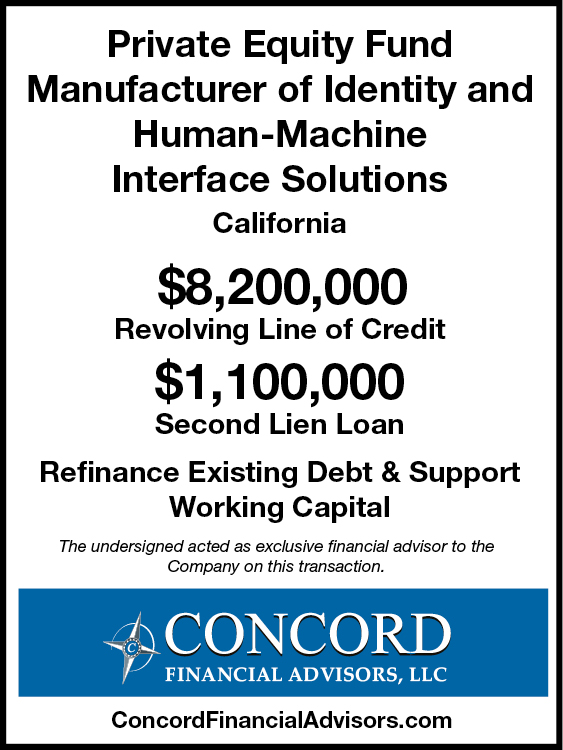 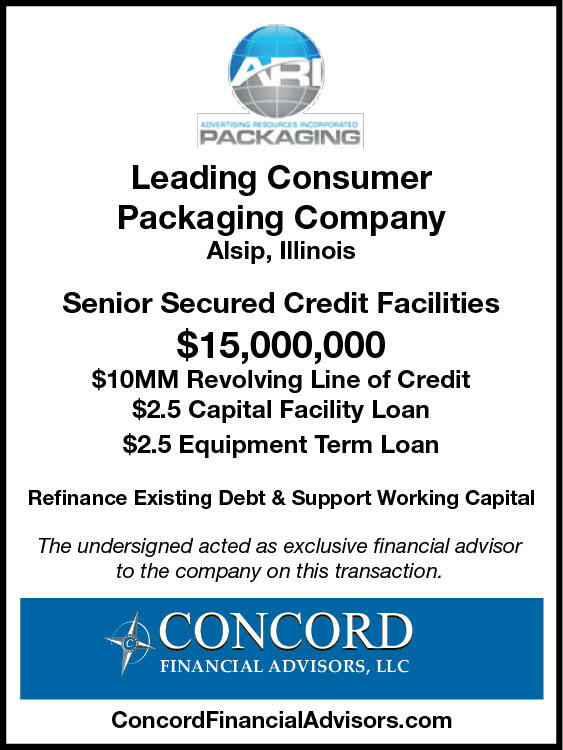 Concord Financial Advisors, LLC closed a $9.68MM Deal, including: $7.0MM Revolving Line of Credit, $1.68MM Equipment Term Loan, $750K CapEx Line of Credit, and $250K Advance Term Loan, for AMS Group, Inc. (“Company”). 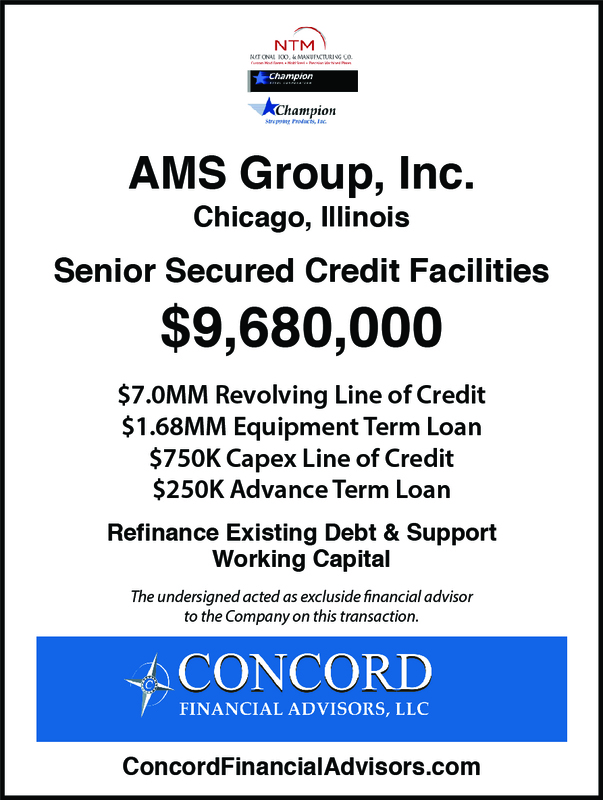 AMS Group, Inc. is the parent company of three wholly owned subsidiary companies: National Tool & Manufacturing Co., Champion Steel Corporation, and Champion Strapping Products, Inc. 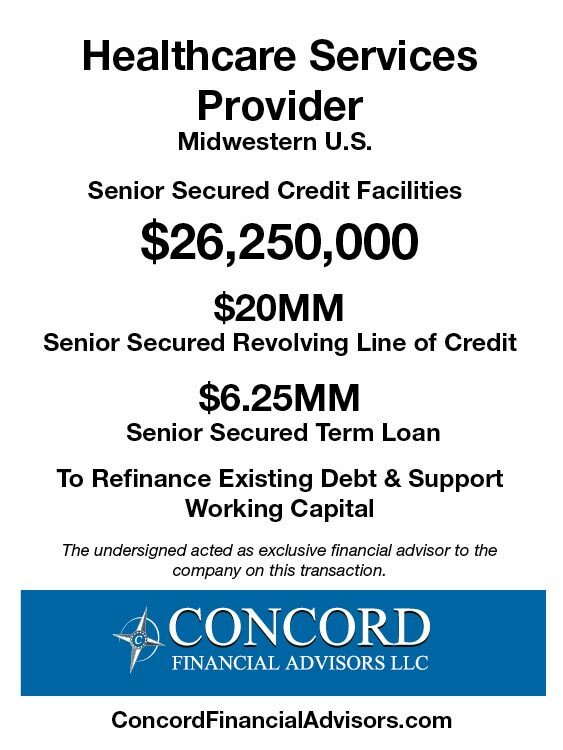 In early 2017, the Company’s bank determined that AMS was no longer a suitable fit for their portfolio and asked them to secure a new lender. 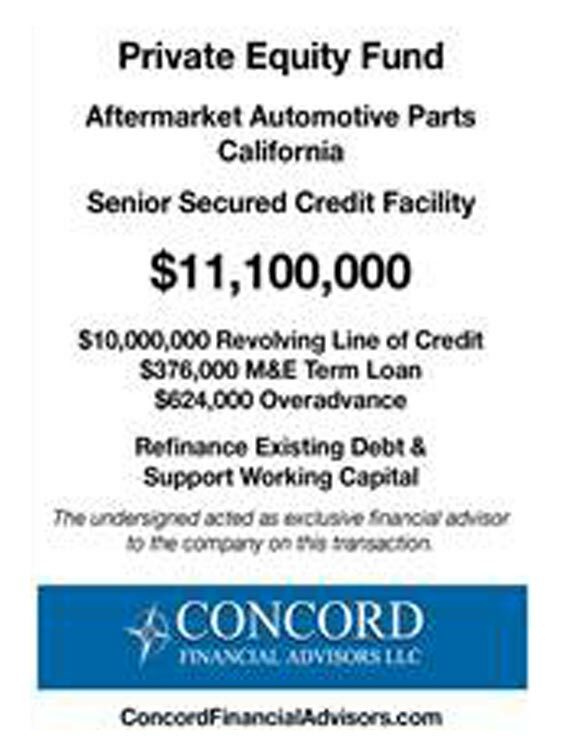 Initially AMS Group, Inc. searched for a new financing partner on its own. 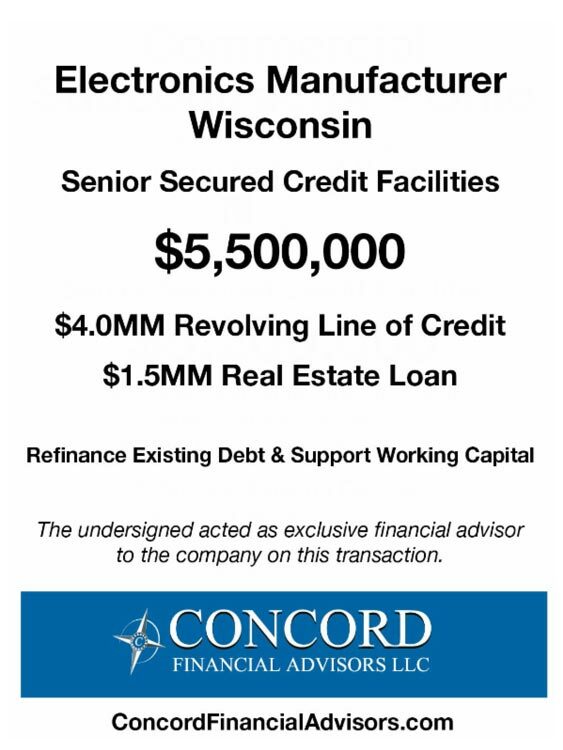 They met with multiple lenders, but received no attractive offers. 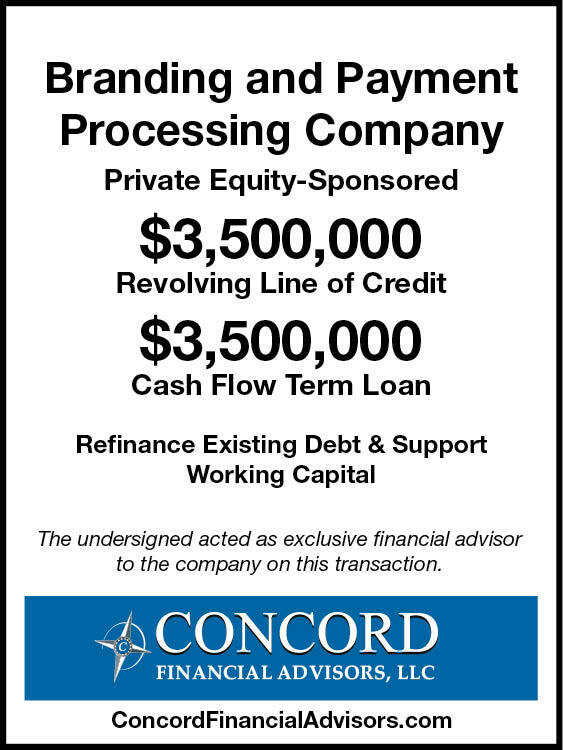 The incumbent bank recommended that the Company utilize Concord’s debt placement services to secure a new lender. 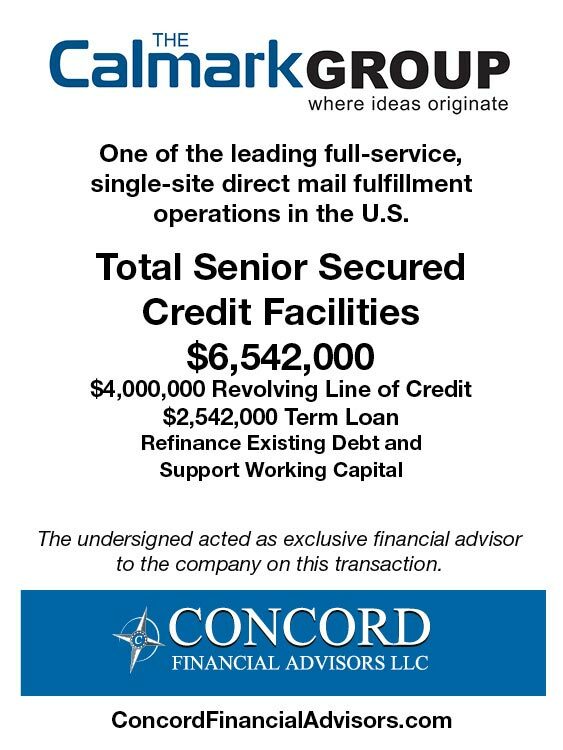 Concord stepped in and ultimately saved AMS countless hours in their search for a new lender and significant fees from the incumbent bank . 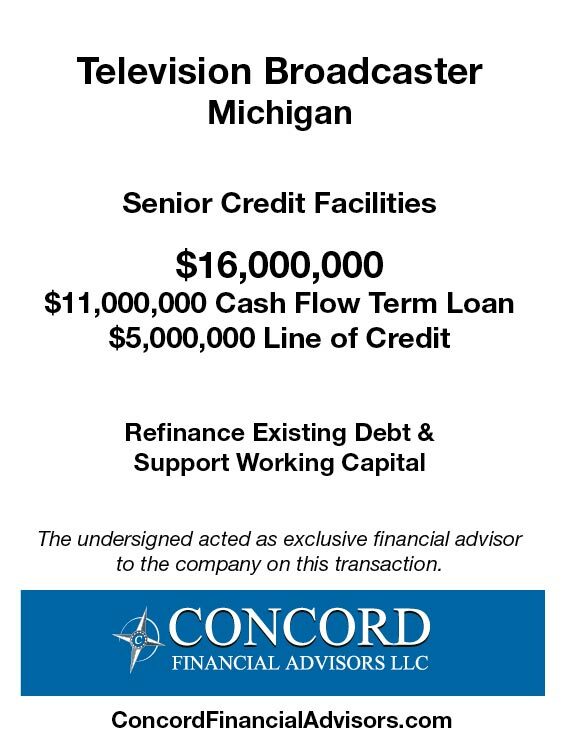 After completing our due diligence, we screened and qualified several lenders we knew to be appropriate for our client, at no cost. 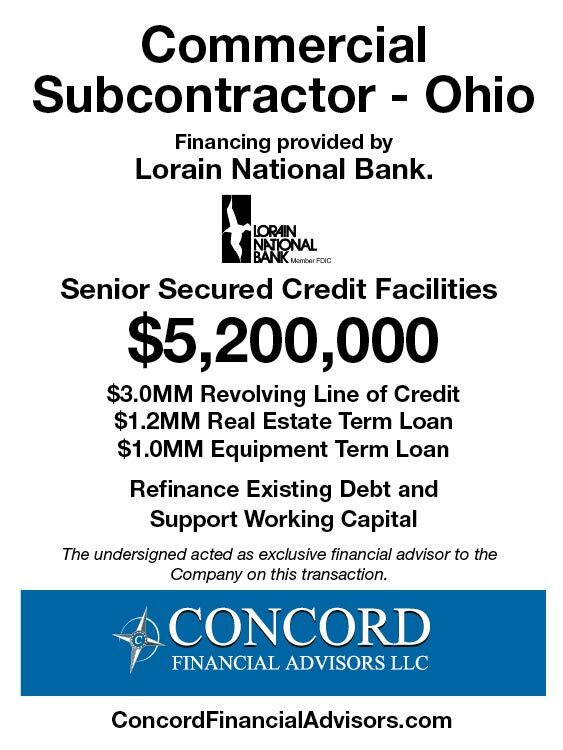 One consideration was that the Company wanted to work with a regional bank. 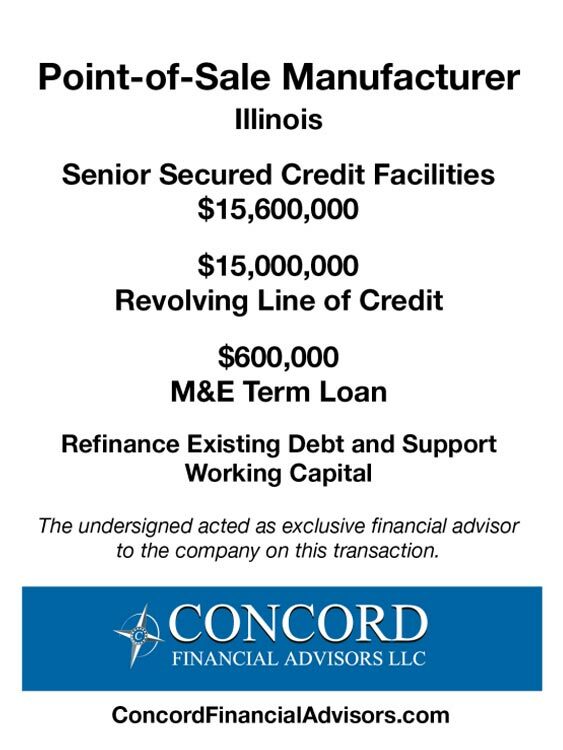 Concord was able to leverage its relationship with a Chicago-based bank that was equipped to handle all of the loans requested and all of the cash management and treasury services for AMS. 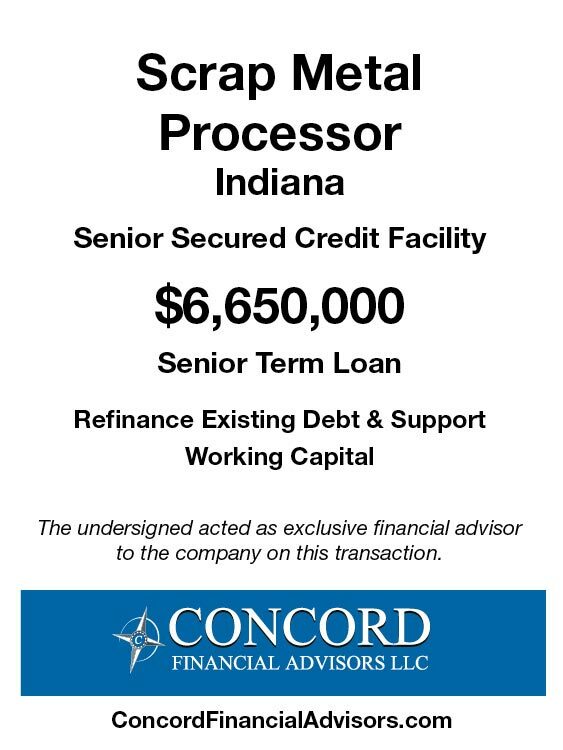 This bank liked the experience and expertise of the Company’s ownership / management team, and they were impressed by their customer base, core business model and recent improvements in performance. 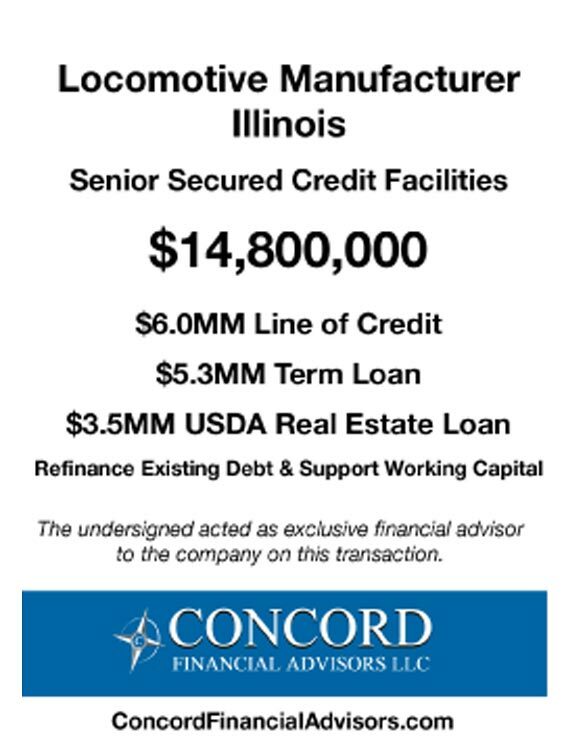 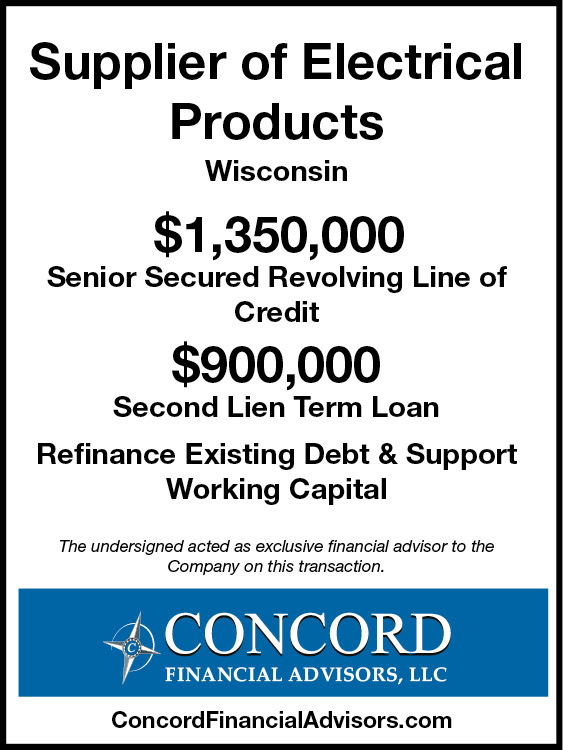 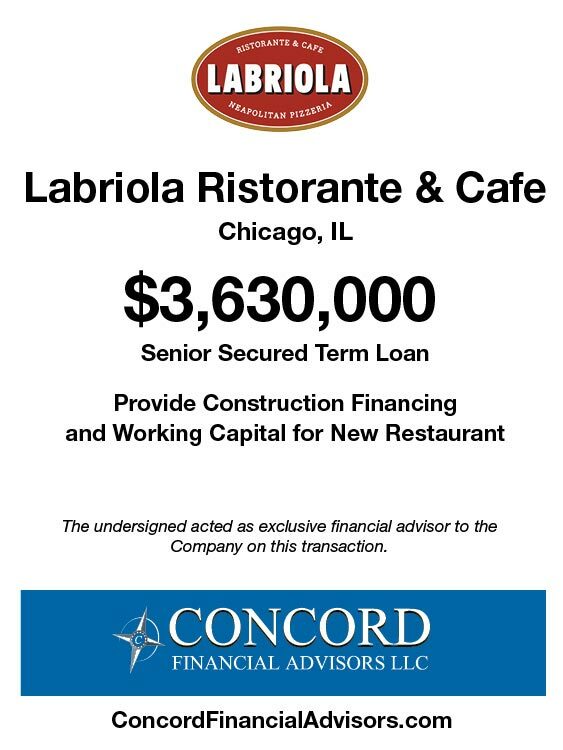 Concord’s efficient and competitive process resulted in very favorable interest rates, deal structure and overall terms for our Client. 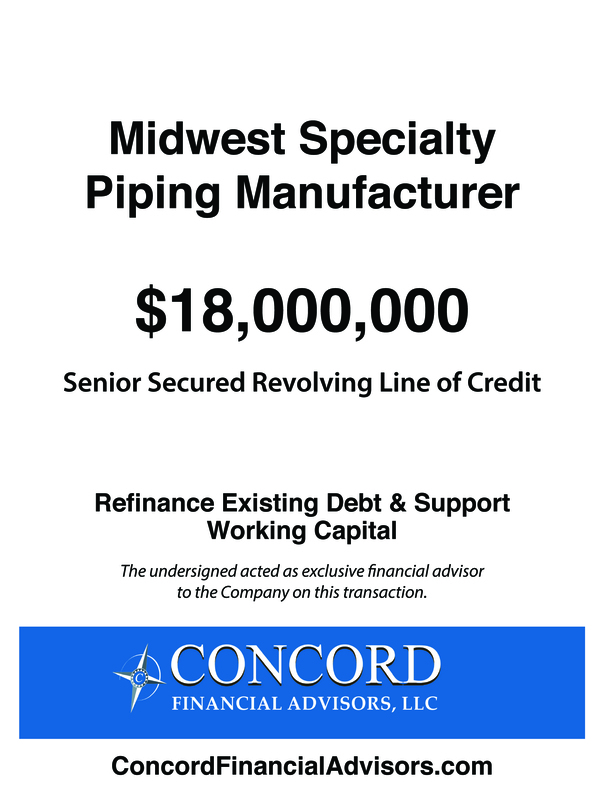 The new financing through the bank provided AMS with the additional liquidity they needed for working capital and to finance growth. 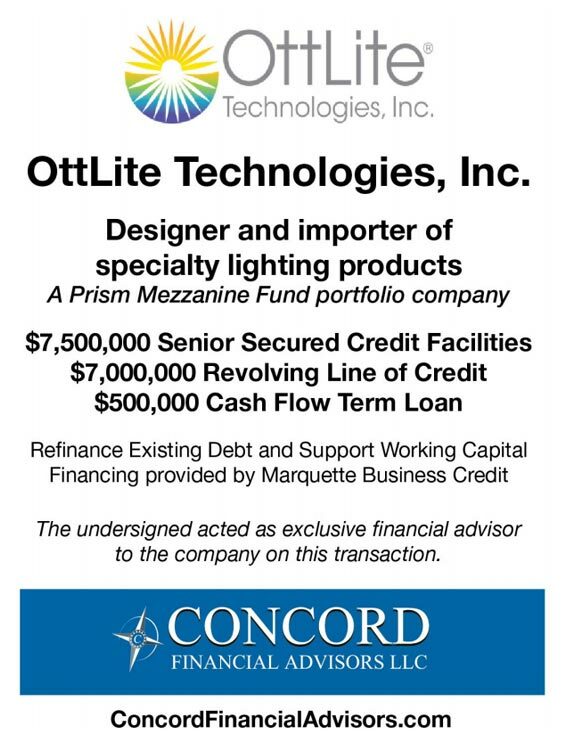 A designer and manufacturer of fixtures and point-of-sale products for leading national retail chains had a credit facility with a Bank that was taken over in an FDIC-assisted transaction and the acquiring Bank did not want to continue the relationship. 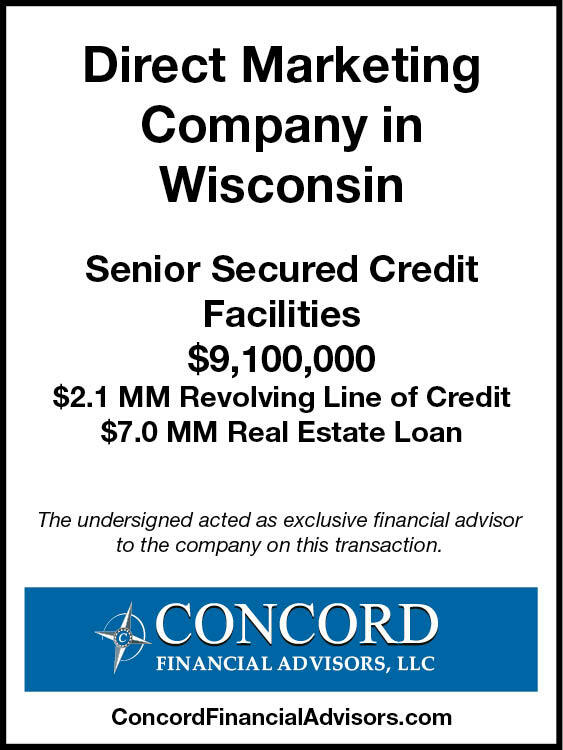 After conducting a targeted search process to a variety of capital providers, Concord secured a commitment letter that met the Company’s objectives and closed the transaction in approximately 60 days to the satisfaction of all parties. 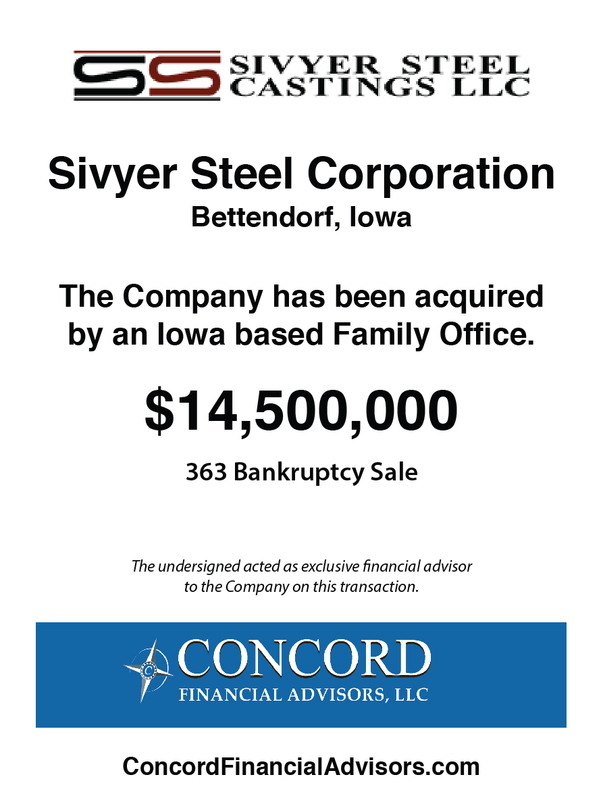 Based in Bettendorf, Iowa, Sivyer Steel Corporation is a domestic foundry, providing steel castings to manufacturers of industrial equipment primarily in the mining, oil & gas, military and passenger rail industries. 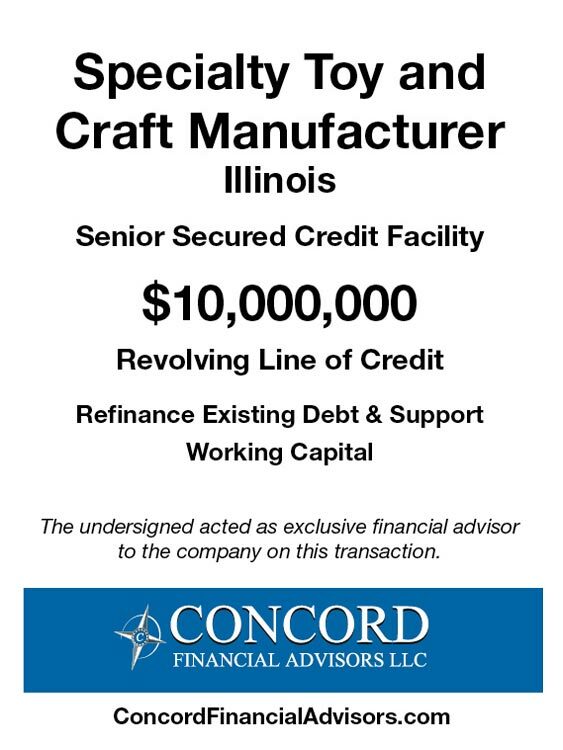 The specialty steel foundry industry is cyclical, and Sivyer has been impacted by market related swings throughout its 100+ year history. 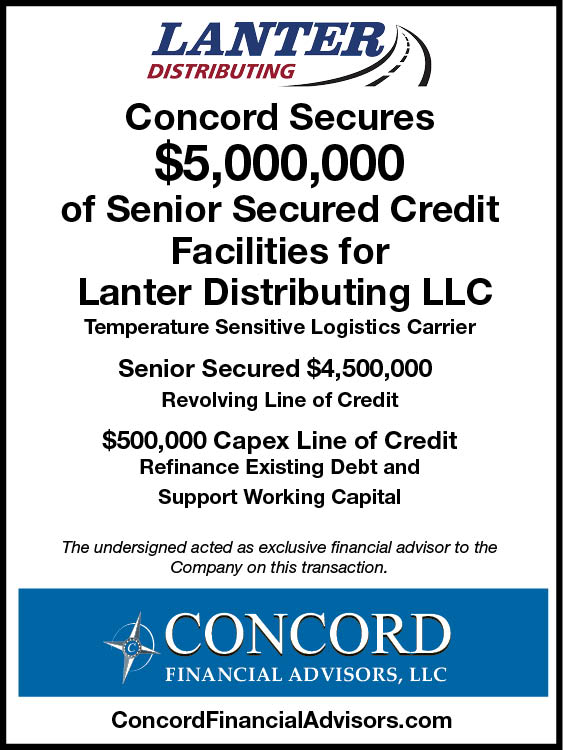 An unexpected market downturn began in 2014 causing a decrease in demand in nearly all of the Company’s end markets. 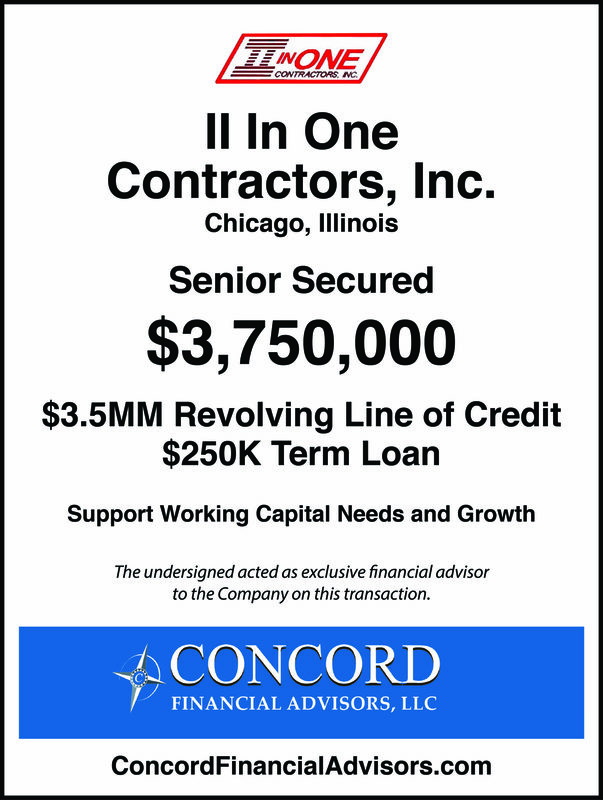 This decline was also more prolonged than previous contractions. 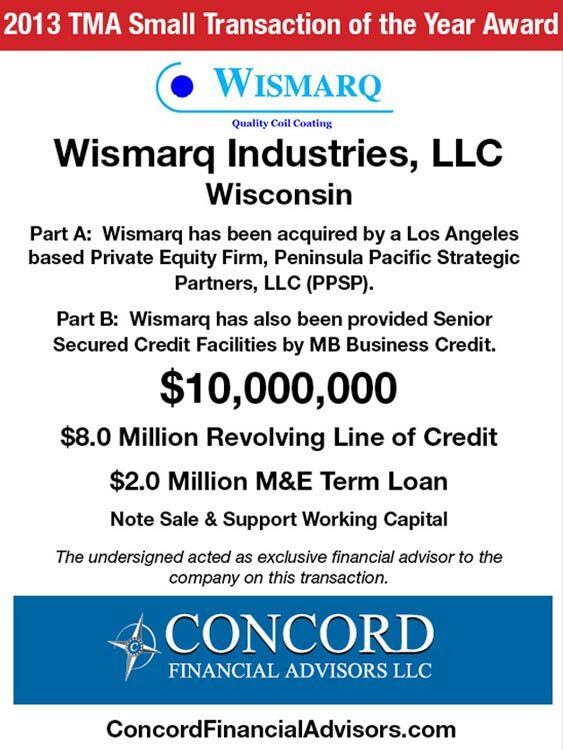 The Company’s lender eventually declared a default and the parties entered into a forbearance agreement. 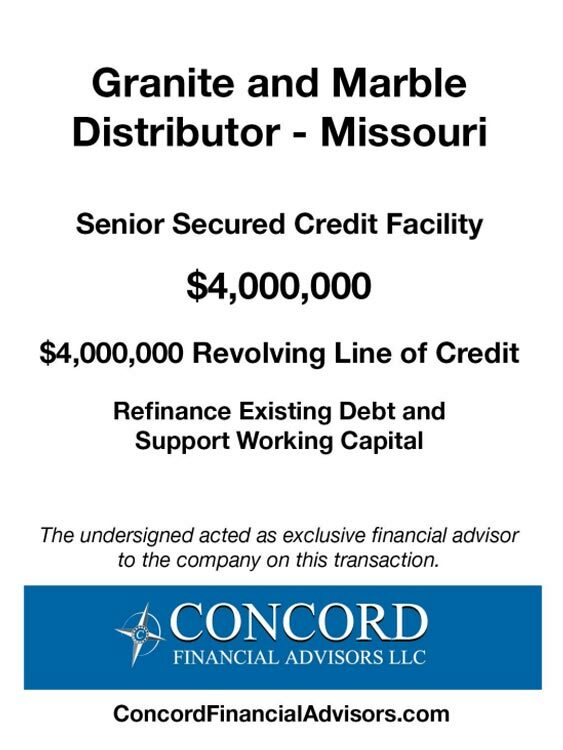 The Lender subsequently hired a turnaround consulting firm to prepare a liquidation analysis of the Company, and the forbearance agreement was extended to permit the Company to retain Concord Financial Advisors, LLC to refinance the lender’s obligations. 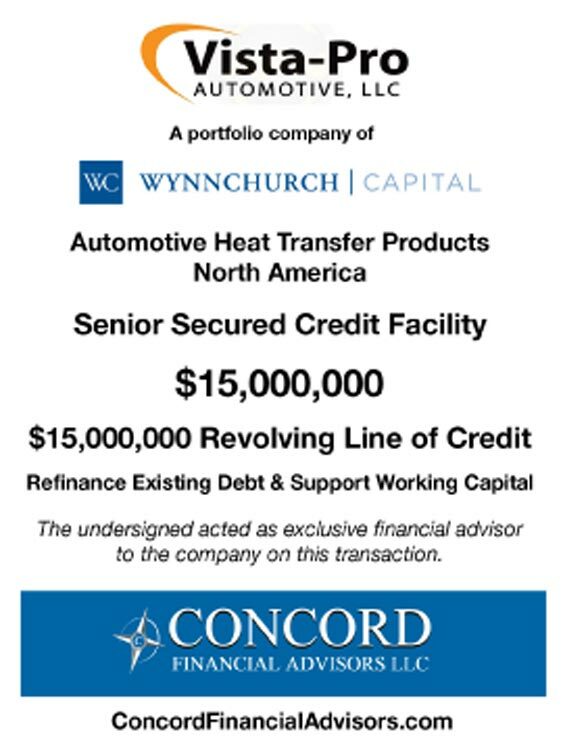 However, it was concluded that the sale of Sivyer as a going concern was the best option and Concord convinced the Bank to remain in an over-advanced situation to fund working capital during the process. 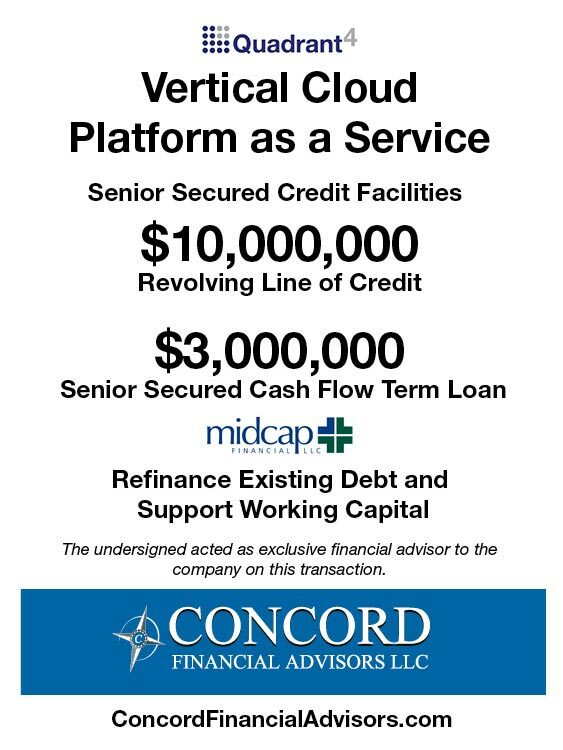 Concord led the preparation of financial due diligence for potential investors by way of a secure data room. 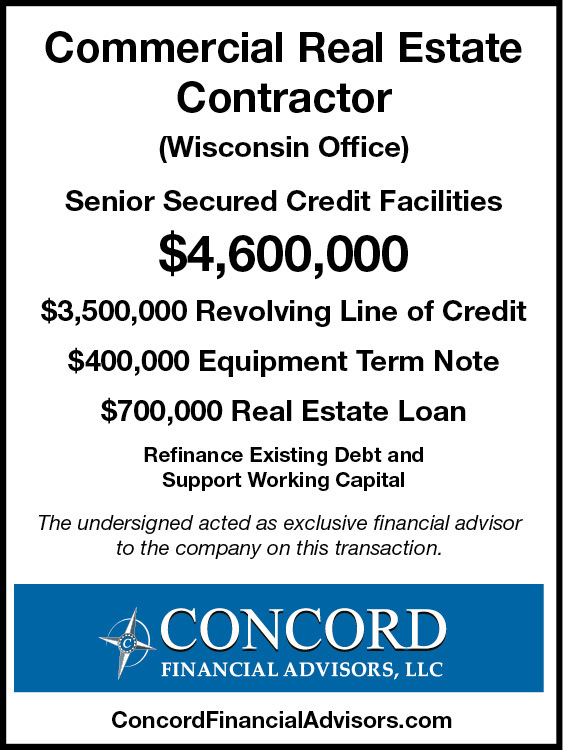 Concord immediately assessed the situation and ran a comprehensive sale process to find alternative buyers for the distressed business. 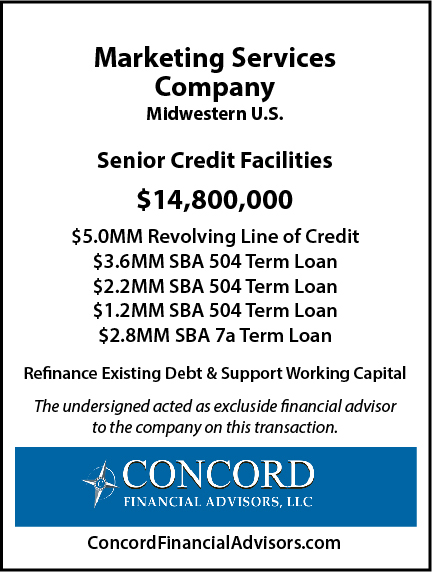 Sivyer eventually filed for Voluntary Bankruptcy under Chapter 11 to protect itself from creditors. 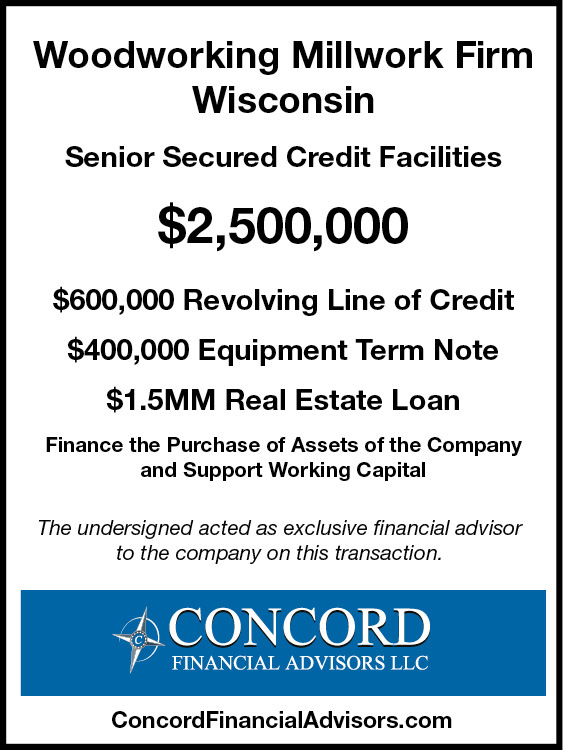 The most favorable proposal was made by a family office, based in Iowa, who acquired the Company out of a 363 Bankruptcy Sale for $14.5 million. 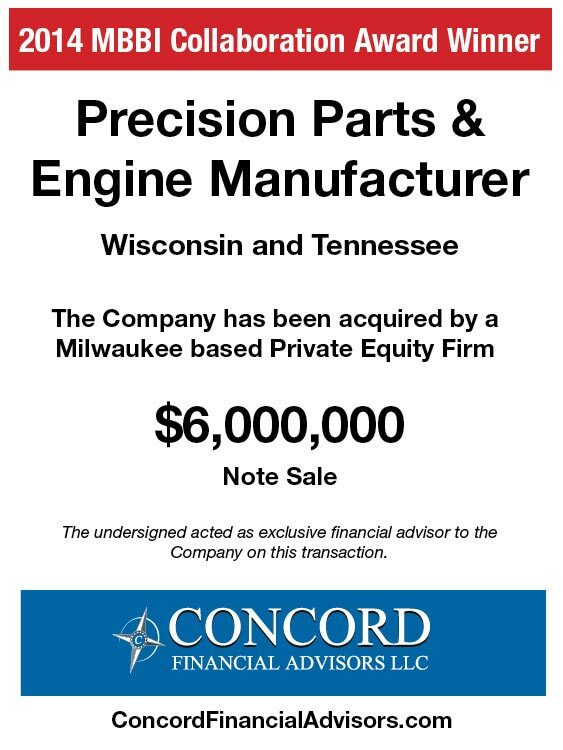 The buyer proved to be a value-added equity partner providing a permanent capital solution. 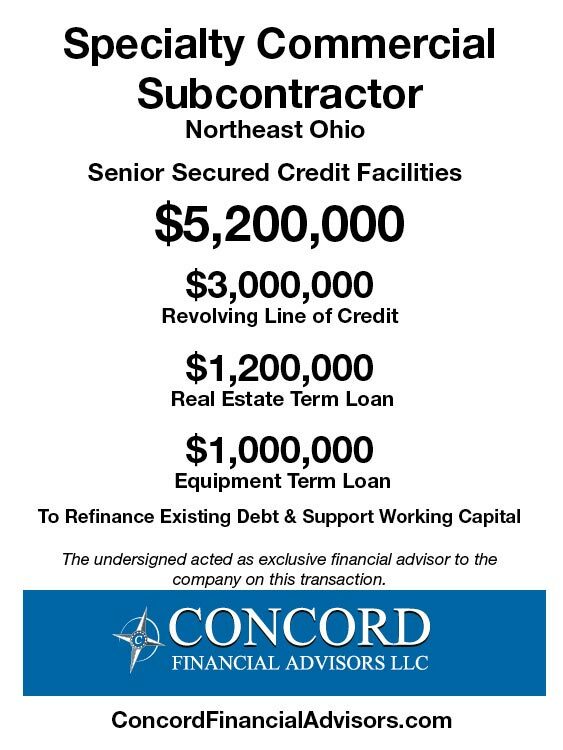 As a result of the team’s efforts, a fundamentally sound but distressed company was restructured with over 200 jobs being retained. 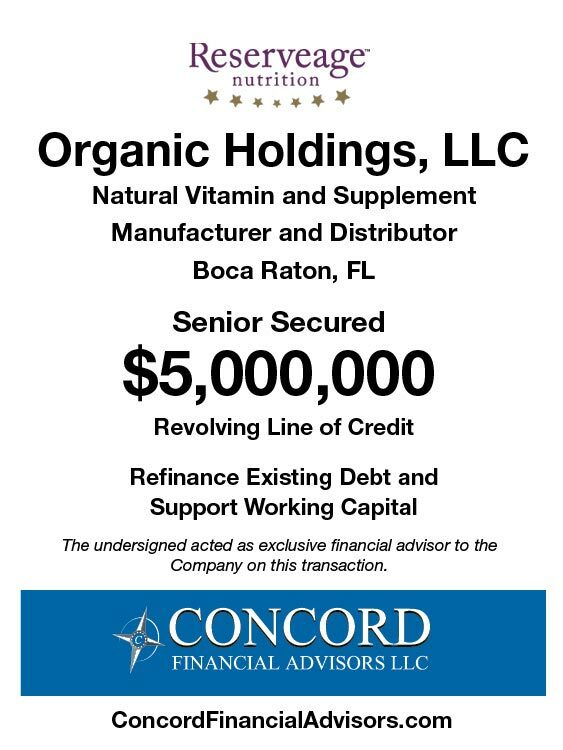 The Lender recovered substantially more than it would have realized in a straight liquidation. 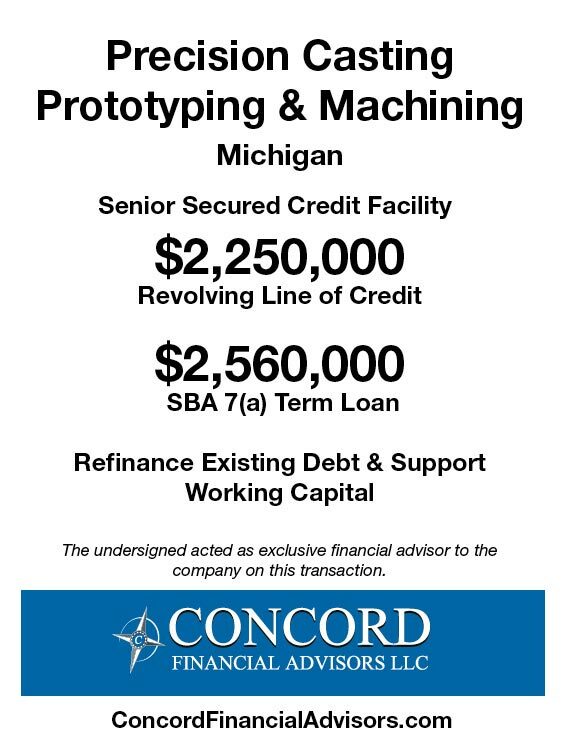 six weeks. 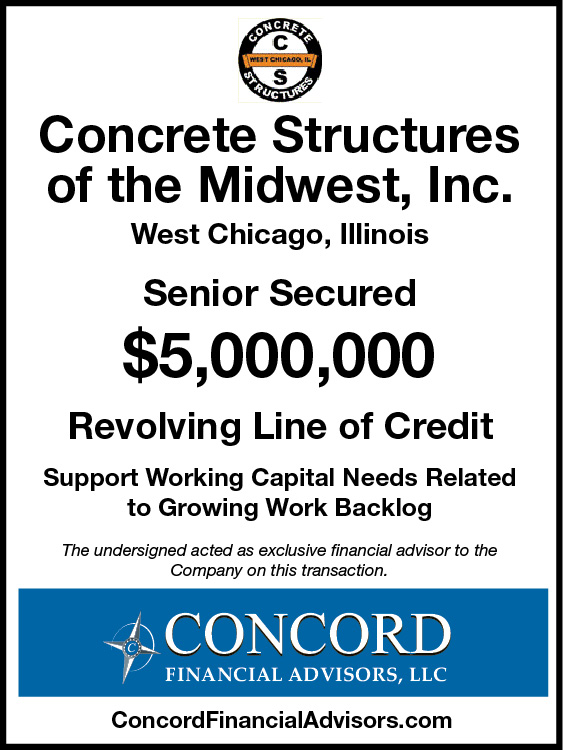 As a result of the team’s efforts, a fundamentally sound but distressed company was restructured in a very short time frame with over 200 jobs retained.